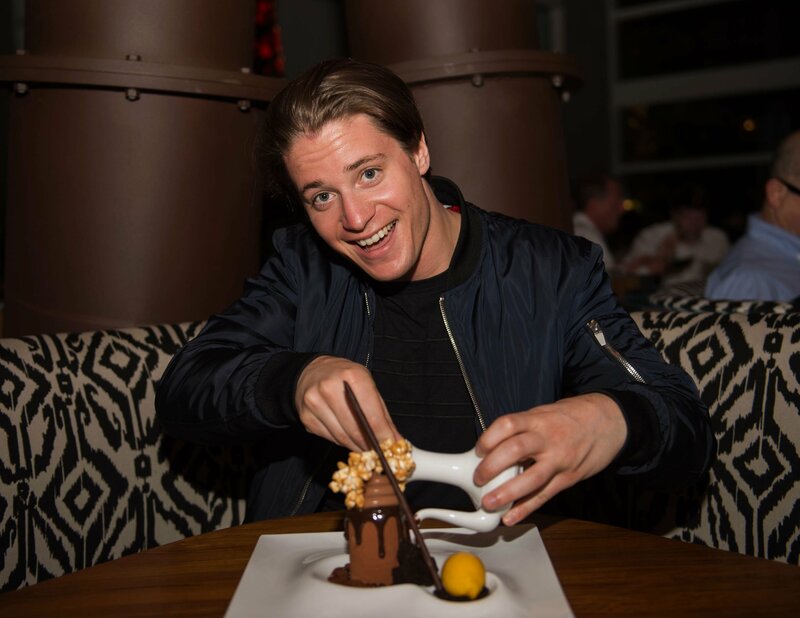 On the heels of Miami’s biggest Music Week yet and in honor of the release of Norwegian superstar Kygo‘s upcoming album Cloud Nine, nightlife and hospitality guru David Grutman has collaborated with the chart topping DJ to create a one-of-a-kind dessert, the “Cloud Nine” chocolate cake, for his newest Miami Brickell restaurant, Komodo. Usually found commanding the stage, Kygo is heating up in the kitchen with his own inspired triple chocolate cake with double chocolate mousse, topped with a spiced milk chocolate cremoux and garnished with shichimi spiced caramel popcorn and a chocolate cigar. Adding a little Miami flavor, the dessert comes topped with a mango passion fruit sauce, with a refreshing quenelle of mango passion fruit sorbet on the side along with chocolate pearls and chocolate cubes. Kygo’s “Cloud Nine” chocolate cake should be a big winner amongst those with a sweet tooth and is now available at Komodo, which we highly recommend visiting. We stopped by during Miami Music Week, on the same night that Kygo showed up actually, and had one hell of a meal there.